Middlesex University. Website on History and Philosophy of Computing Research Activities at Middlesex University, including the David Tresman Caminer PhD Scholarship, maintained by Elisabetta Mori and Giuseppe Primiero. A Non-Technical Description of E.D.S.A.C. An original booklet written in 1949 for the J. Lyons Board, has been rediscovered. Decision Support Systems Resources A US based historical archive with a database profiling pioneers in the field of Decision Support Systems (DSS). Leo pioneers David Caminer and Frank Land have recently been added. The National Museum of Computing. Recently re-vamped website: - well worth a visit! Heinz Nixdorf Museum (HNF), Padeborg Germany. 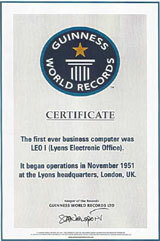 Claims to be the largest Computer Museum in the world. The Centre for Computing History established to create a permanent public exhibition telling the story of the information age. The Evolution of Computers and Software. A brief summary of computer hardware and software evolution from the 18th century to the 21st. Computer History: Storage, Software and Memory A summary of the history of storage and memory devices three main forms: magnetic, optical, and solid state. 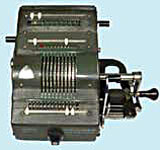 ISMOC - Internet Scripophily Museum of Computing. A virtual museum on computing history represented by old bond and share certificates. The Jim Austin Computer Collection A collection of over 500 computers that has been built over the last 25 years by Professor Jim Austin. 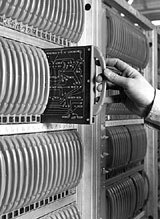 The IT History Site (ITHS) "To enhance and expand works concerning the history of Information Technology..."
The EDSAC computer simulator The Edsac simulator is a faithful software evocation of the EDSAC computer as it existed in 1949-51. The Computer Conservation Society (CCS)The CCS is a joint venture between the British Computer Society, the Science Museum and the Museum of Science and Industry in Manchester. The ICL Archive at the Science Museum Library This is an index of the archive of ICL material held in the Science Museum Library. This index is maintained by the Computer Conservation Society.